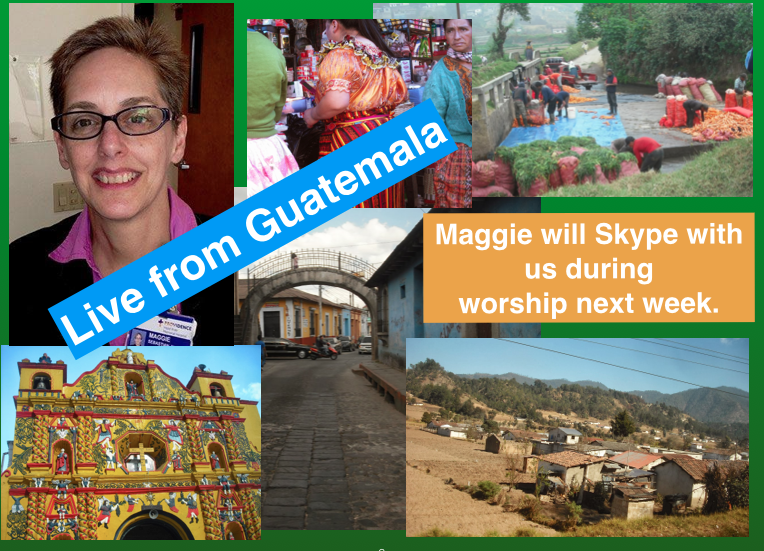 In lieu of a formal sermon on Sunday, Maggie Sebastian will Skype with us. She will make a few opening remarks (about 5 minutes) and then we can ask her questions in real time about her experience in Guatemala so far. The focus scripture for worship on Sunday will be Micah 3:5-12. You can find it below. the day will be dark upon them. for there will be no answer from God. to declare to Jacob his wrongdoing and to Israel his sin! 10 who build Zion with bloodshed and Jerusalem with injustice! and her priests teach for hire. “Isn’t the Lord in our midst? and the temple mount will become an overgrown mound.